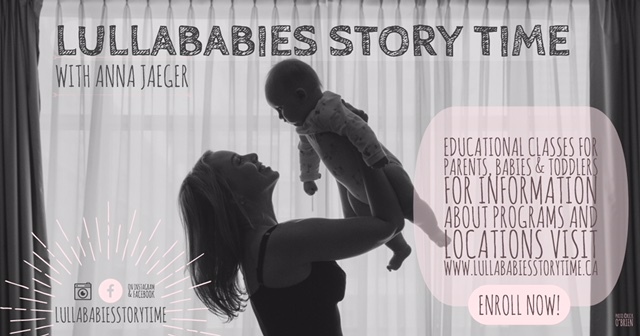 Jump-start your baby’s early literacy and sharpen your parenting skills in this educational class, Lullababies Storytime with Anna Jaeger! Lullababies is a storytime class with a movement focus for parents & babies 0-18mo. 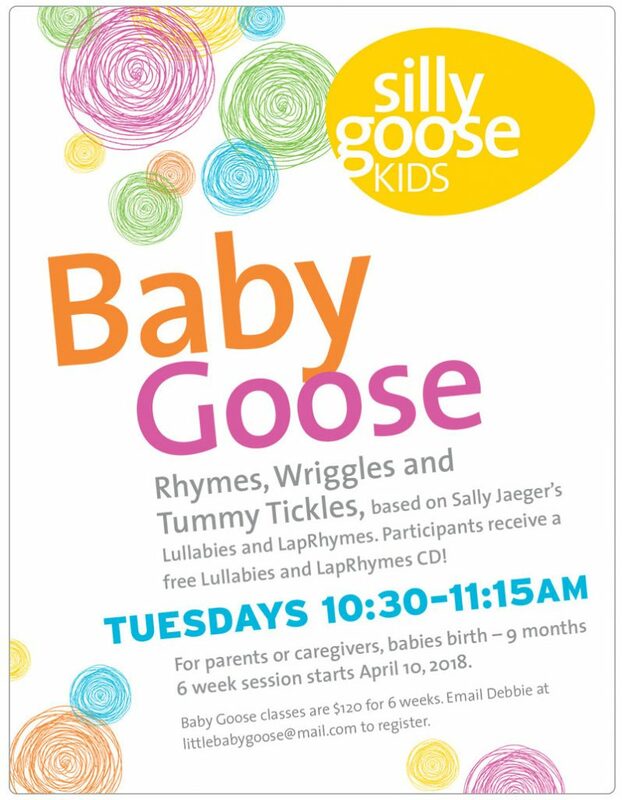 Parents will learn from a broad repertoire of rhymes, songs, tickles and bounces that will be instrumental in building or changing your routine, diffusing fussy situations, soothing your baby to sleep, or just having fun! Based on local storytelling legend (and Anna’s mother), Sally Jaeger’s programs, Lullabies & Lap Rhymes and Mr. Bear Says Hello (1981), Lullababies Storytime is a great way to engage and bond with your baby while you both learn new skills! Classes offered at Mabel’s Fables Children’s Bookstore, 662 Mt. Pleasant Rd. and Evymama, 1345 St. Clair Ave. W. Visit lullababiesstorytime.ca for details and registration. Group class environment allows for meeting other parents!